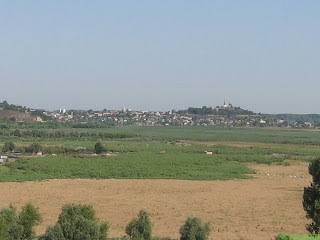 Placed between the land and the Delta of Danube, the city of Tulcea is one of the oldest urban settlements in the country. The poet Ovidius mentions in a letter to his friend Severus from Rome about "a fortress with two names", founded by Caspyus Aegyssos. The first archaeological findings date back to the neolithic age. A fortified hallstatt settlement type Babadag III (8th-7th centuries BC) was found, covered with remnants of getic, roman and early feudal habitations. 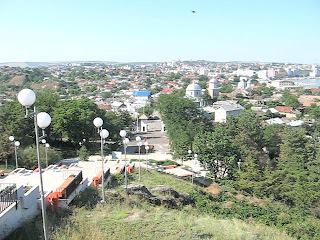 The ancient Aegyssus fortification is situated in the eastern part of today's town, on the Hill of The Monument (of Independence). The oldest inhabitation belongs to getic-dacian (geto-dacic) culture (4th-3rd centuries BC), over which came the hellenistic culture (3rd-1st centuries BC). The fortified walls within the precinct date back to the roman period. The late byzantine period (12th-13th centuries) settlements were covered by surface dwellings from the 15th-16th centuries. Outside the fortress walls, there are the vestiges of the civil roman settlements and on the south-west slope was the 3rd-4th century necropolis. Some info about the city's history can be found on Wikipedia and some tourist information here and on the Tulcea Tourist site. 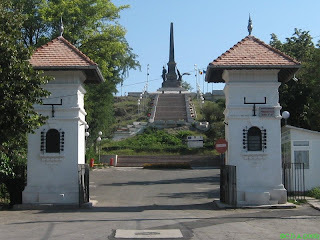 - The Monument of Independence - build upon the ancient fortress, raised in memory of the heroes that died in the Independence War (1877-1878) - nice view of the town too. The location on Google (The Hill of The Monument).